Cidalia and Natalia Luis thought the worst was behind them. 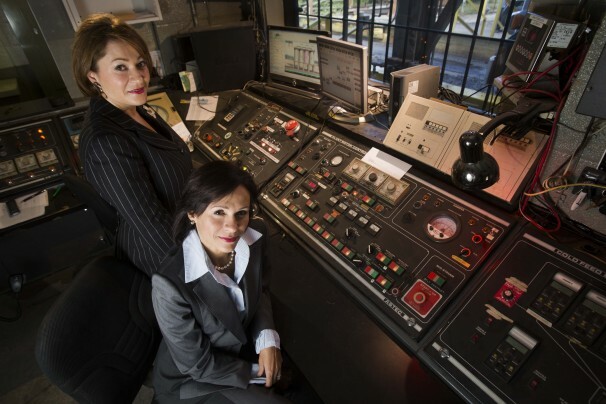 It was late 2010, viagra sale and the sisters’ small roadwork company, M. Luis Construction, had survived the recession and had just finished purchasing a multimillion-dollar asphalt manufacturing plant in Rockville. It was a hefty investment, but one they thought would add a new stream of revenue and help ensure the Baltimore-based company’s future. Holi festival, St. Patrick’s Day celebrations, Paris bra toss, Purim, feline fair and more. Then came 2011.In February, a neighboring mulch factory caught fire, destroying M. Luis’s main equipment storage facility and leaving several million dollars in damage. Not long after, months of record rainfall in the region slowed the firm’s work on several projects. Consequently, revenue slumped in 2011, and Bank of America, the firm’s go-to lender for more than two decades, froze the company’s line of credit. The effect was swift: Construction firms often do not get paid in advance and rely heavily on loans for working capital. In urgent need of financing, the sisters reached out to the Maryland Industrial Development Financing Authority, a program in the state’s economic development office that provides loan guarantees to commercial lenders, aiming to encourage banks to lend to firms that are, as MIDFA Executive Director Greg Cole describes them, “on the bubble.”Cole connected the sisters to Rockville-based Eagle Bank, and by October of 2012, M. Luis Construction had secured an $8.6 million credit line through its new banking partner, in part because of a $2.5 million guarantee from MIDFA.“One thing I was not worried about was these ladies failing,” Cole said. “They had just been hit with the proverbial perfect storm, with the recession and the fire and the rain, and they just needed a break.”It turns out, in a sudden turn of luck, the sisters had come at the right time. Maryland’s economic development office had just received a $23 million cut of the State Small Business Credit Initiative, a federal stimulus program authorized by the Small Business Jobs Act of 2010. Through the initiative, states have been awarded a total of $1.5 billion to invest in programs that support lending to small businesses, particularly small manufacturers. Such lending programs tend to be overshadowed in the larger debate over federal stimulus spending as the nation emerges from the Great Recession. But some say the federal government’s investment is already paying off. “It has helped start small-business lending programs in several states around the country and expand the reach of some existing ones at a time when access to capital has been very tight,” Matthew Bevens, a Treasury spokesman, said. The Treasury Department estimates the $1.5 billion fund could help spur up to $15 billion in loans to small firms. Virginia’s economic development department nabbed $17 million of the available funding, and $13 million went to the District. In Maryland, the $23 million was split between four existing programs: MIDFA, a small-business investment program, a neighborhood works program and the state’s venture capital fund. With only about $3 million used so far, officials are currently shifting more of the money toward the venture fund, Cole said, noting that they need the capital to invest in a growing number of start-up companies across the state. Still, he said the loan guarantees for small businesses are vital, as the lending environment remains tight and many employers are in need of capital. “I’m starting to see a few more inquiries from banks looking for potential borrowers, looking for deals, but it’s still slow,” Cole said. In M. Luis’s case, the owners say they could not have purchased and held onto the new asphalt manufacturing plant, which has helped them jump from 150 employees to 250 in the past few years, had it not been for the assistance from Eagle Bank, MIDFA and the State Small Business Credit Initiative. The money also helped purchase an administrative facility in Silver Spring, which they plan to open next month.